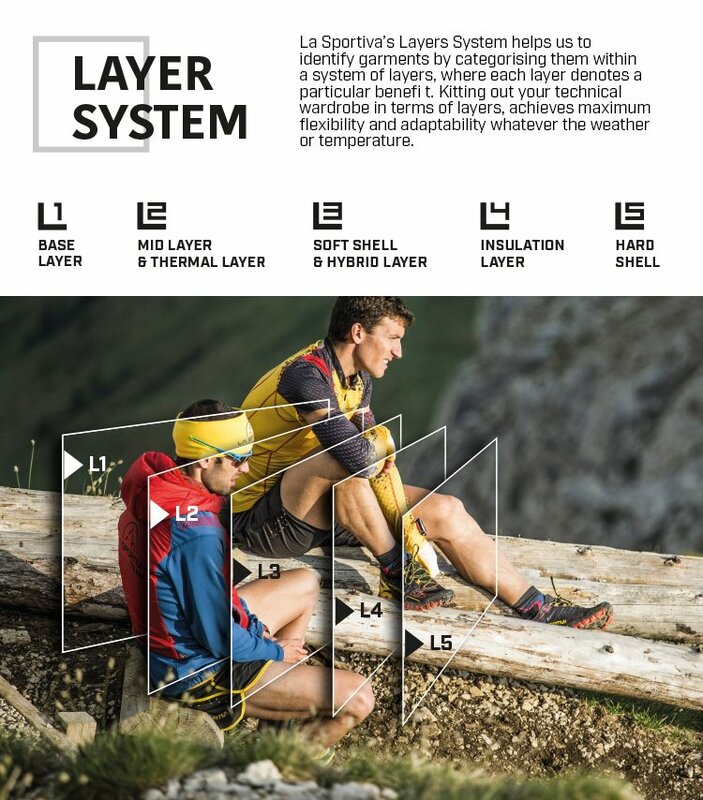 Lightweight trail running t-shirt, quick-dry, anti-odor and anti-bacterical thanks to the Polygiene® tratement. Blitz t-shirt's style follows the concept of body-mapping, with underarm and back body mesh inserts for improving the breathability. Polygiene® Odor Control Technology is a durable, effective and sustainable textile treatment that uses naturally occurring silver salt to stop the growth of odor-causing bacteria. The result? You can wear more and wash less. Highly breathable garments providing optimum climate control. This layer is in direct contact with the skin. It must therefore eliminate sweat and keep the skin dry to create optimum climatic comfort during physical activity.